DO WANT! 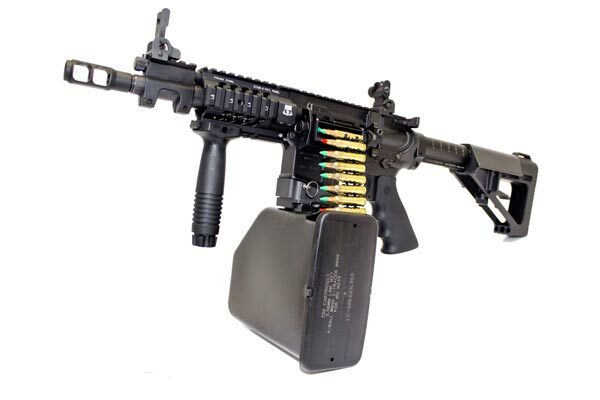 Even on a semi-auto that would be awesome. 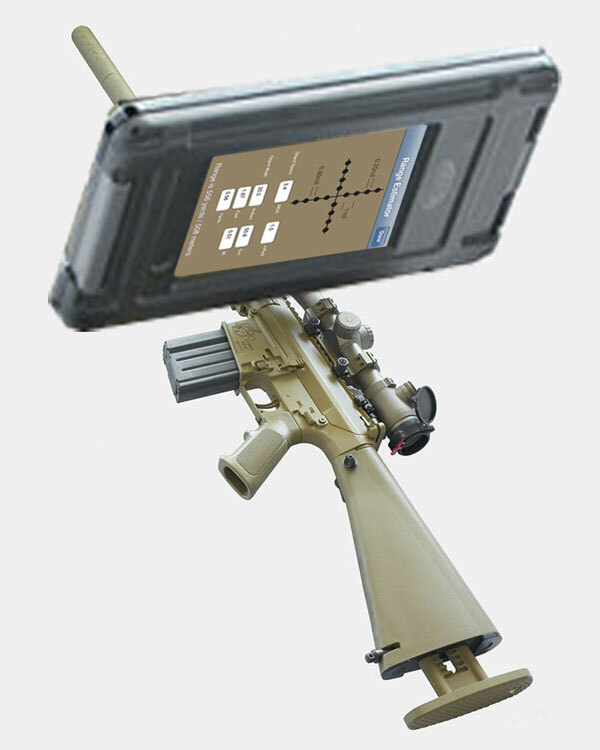 It would force me to step my bumpfire game up a notch. 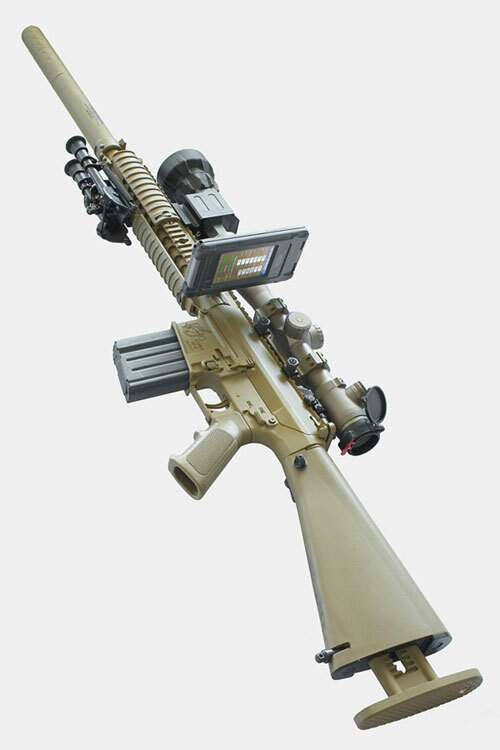 Included in the price is the belt feed assembly, belt box adapter to hold the 200 round m249 SAW ammo can, one starter strip, one stop strip and 100 links, and one 200 round ammo box. NOTE: You can not use regular military links with this conversion… you need to use the proprietary ones that are included. Judging by the video it seems to work flawlessly in full auto. 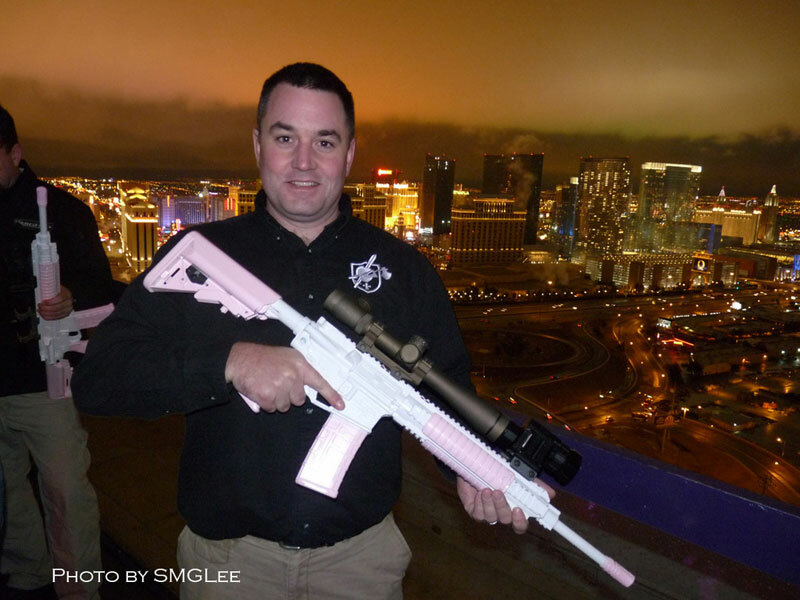 I’m told by the company that that it maintains a 85% parts compatibility with regular AR-15s. 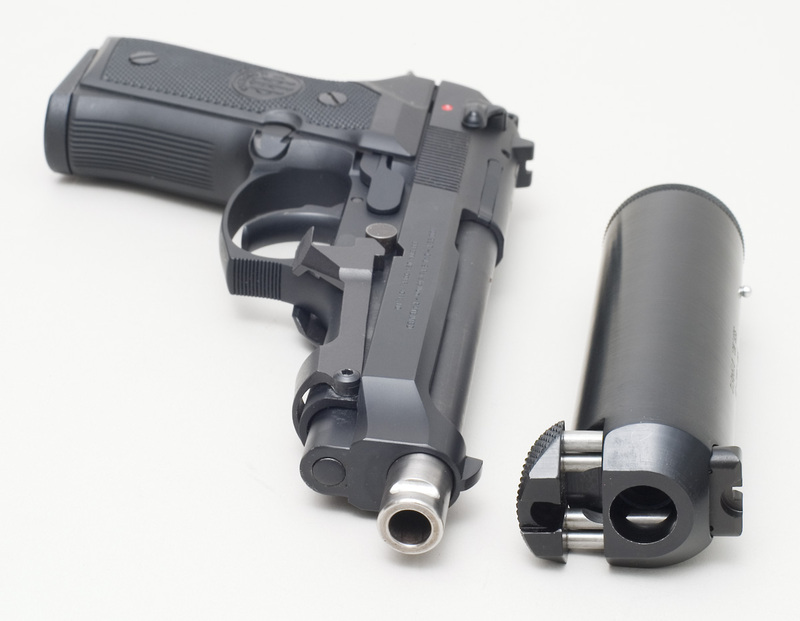 The suppressor snaps on as opposed to the other conventional spring loaded quick attachment, or the standard thread on. There are new sights built into the suppressor. Damn good idea considering the factory sights on pistols are blocked by the hight of most cans. Excuse the yelling… Whoever does the entries for that site must either be very angry or else have a stuck caps lock key. Forgive the low quality.. it was the best I could come up with given the quality of the picture. 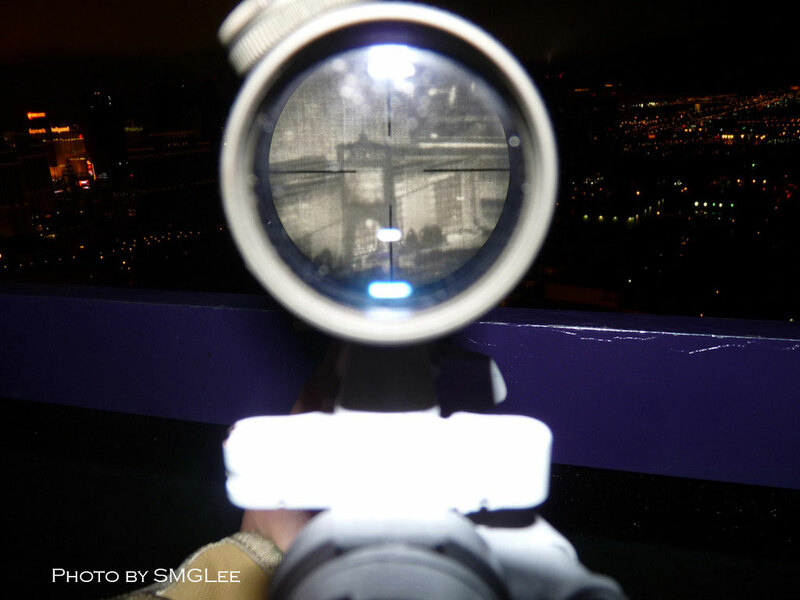 Picture taken on top of Rio hotel Voodoo lounge patio, KAC’s mini thermal scope in front of the M110 scope over looking Vegas skyline. 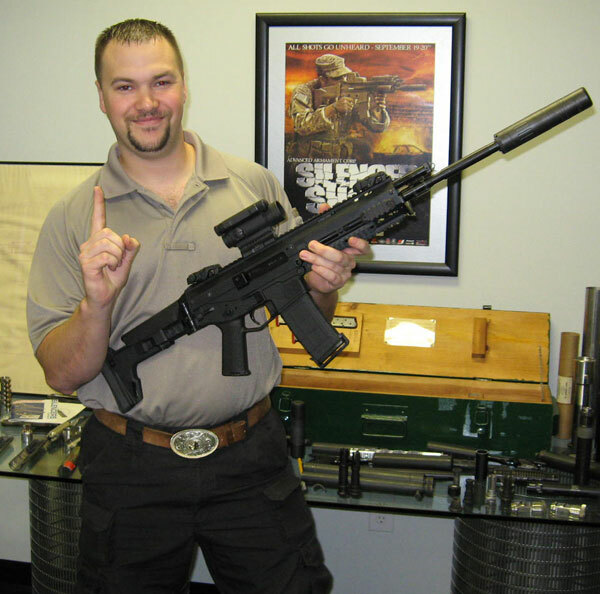 The picture below shows the rifle itself. Not sure why it’s white and pink. Maybe so it would show up better in dark pictures, not scare the girls, be easier to locate in the crowd?